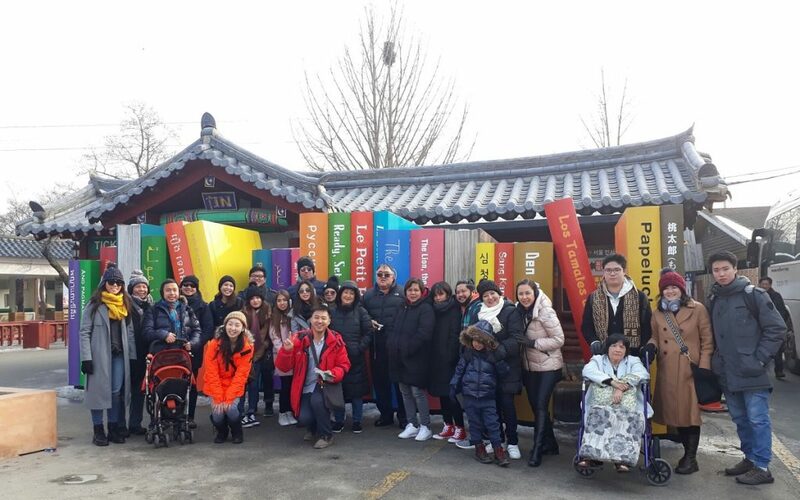 Nami island package tour , located 63 km away from Seoul, is half moon shaped isle, and on it is the grave of General Nami, who led a great victory against the rebels in the 13th year of the 7th king of the Joseon Dynasty, King Sejo. It is famous for its beautiful tree lined roads. 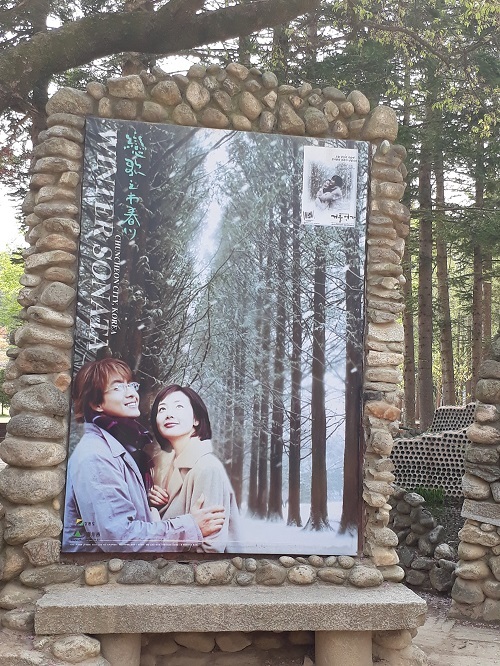 Nami Island is not only known as the filming spot of “Winter Sonata”, but also a cultural center for creative ideas of local artists and employees. Nami Island plays host to a variety of cultural events, concerts, and exhibitions throughout the year. It is a popular get-away for couples, friends and family from the bustling city. You can reach the island by a ferry or zip wire. 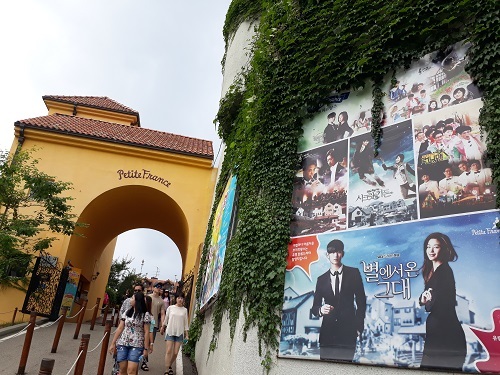 It is a cute French cultural village located in Gapyeong mostly known as the filming location of the popular Korean dramas and TV shows such as Beethoven Virus, Secret Garden, and My love from the stars and Running Man. Petite France serves as both a French cultural village and a youth training facility, and consists of 16 French style buildings where visitors can lodge and experience French food, clothing, and household culture. This village has souvenir shops, cafes, restaurants, galleries and museums such as Orgel House. 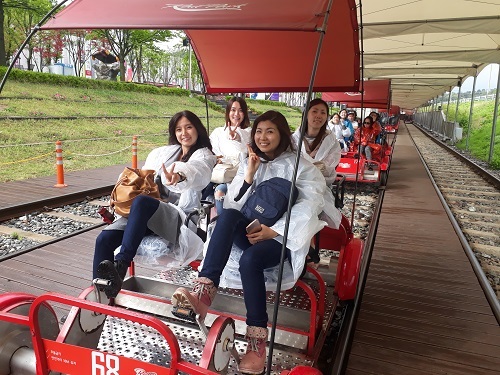 Gangchon Rail Bike Park is in Gapyeong, near Namil Island and Petite France. The old train tracks had been turned into a exciting ride. You can watch beautiful countryside while riding a bike. The Garden of morning Calm opened on May 11, 1996 as a private garden. The design of the garden focused on curves, spaces and asymmetric balance. 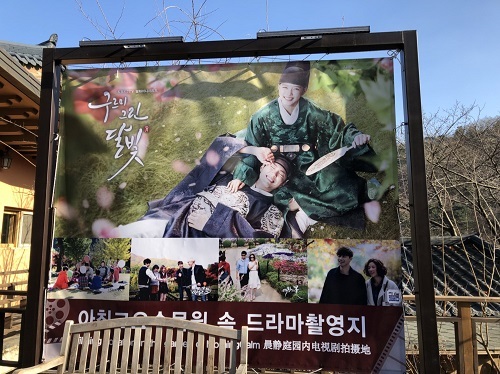 Korean dramas and TV shows such as The Letter , Love in the Moonlight , Ifinite Challenge(无限挑战).